"Brother Yi, have you been here for long?" Tao'er asked with a blushed face. "Uh&h.e.l.lip; I just came." Yi Yun lied as he noticed Tao'er's awkwardness. "Okay, okay." Tao'er easily believed Yi Yun's words as she obviously heaved a sigh of relief. "Brother Yi, it seems as though you look much better now?" Tao'er was not able to sense Yi Yun's energy flow, but she had guessed from the color on Yi Yun's face. Yi Yun had been heavily injured prior to this. All his were organs ruptured, so if it were any ordinary person, they would have been dead. Tao'er did not expect Yi Yun to look so much better so quickly. His recovery speed was truly impressive. "Yeah, Senior Luo gave me a recovery relic which was quite useful." Yi Yun answered her casually. Upon hearing this, Tao'er smiled, as though she was happy because of Yi Yun's words. "The Fey pills or relics refined by the Luo clan are extremely famous, especially in the Luo clan's royal capital. The best Desolate Heaven Masters in the Luo clan are there. They seldom provide their services, but if they were to refine an impressive relic, even the mighty Supremacy figures in the Ten Thousand Fey Empyrean Heaven would travel personally to obtain one from them!" Tao'er mentioned this pridefully. Although she was human, she was still a member of the Luo clan and she felt pride about the Luo clan's might. However, there were few humans in the Luo clan. Furthermore, amongst the humans, one was weaker than the other, making them completely incomparable to the Fey race in the Luo clan. Although the upper echelons of the Luo clan had announced that members of the Human and Fey race were equal, it was still extremely difficult to implement it in practice. There were many places in the Luo clan where the humans were ostracized and bullied. It was understandable because in a warrior's world, the weak were naturally bullied. And it was because of this reason that Tao'er felt such a natural affinity with Yi Yun, who was also human. Since everyone was human, they were all in the same boat. "Oh? 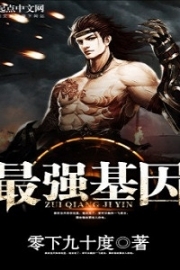 The Luo clan has impressive attainments in the Desolate Heaven technique?" When Yi Yun heard what Tao'er said, he recalled how Luo Huo'er focused on the Desolate Heaven technique back in the Tai Ah Divine City. Back then, Luo Huo'er's Desolate Heaven technique was extremely good, but&h.e.l.lip; when she competed against Yi Yun in energy control, she had lost to the Purple Crystal-possessing Yi Yun. It caused Luo Huo'er to go into a fit of rage. 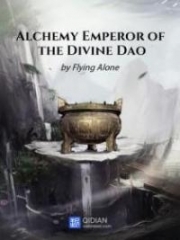 Now that he thought about it, the Desolate Heaven technique Luo Huo'er used in the Tai Ah Divine City was most likely to be different from the Ten Thousand Fey Empyrean Heaven. The quality of the desolate bones materials was bad, while the hand seals and Desolate Heaven technique heritage was different. With these differences, Luo Huo'er had to nearly start from scratch. But even so, she had managed to master the local Desolate Heaven technique quickly. And it could be said that the Tai Ah Divine City's Desolate Heaven technique was something Luo Huo'er learned when she had nothing better to do while hiding in the lower realm as a fugitive. She could not use the Luo clan’s Desolate Heaven technique that she was proficient in as she would not be able to explain its origins. It could also risk exposing her ident.i.ty. Her Desolate Heaven technique, which she had learned in her free time, had complied with the lower realm's rules. Yet she was able to defeat and dominate the Tai Ah Divine City's elites in the Desolate Heaven technique. She only failed to match the energy control extraordinaire, Yi Yun. "No wonder she was so unhappy back when I beat her." 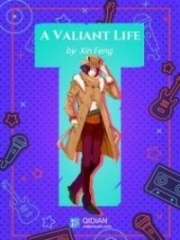 Yi Yun muttered and smiled to himself. Luo Huo'er came from the 12 Empyrean Heavens, and she was a direct descendant of the Luo clan. She was like a proud little cat, feeling superior over the lower realm's Tai Ah Divine City warriors. She believed that the lower realm Desolate Heaven technique that she learned in her spare time was enough to dominate everyone else. In Luo Huo'er's heart, the people in the lower realm should have surrounded her, praising her for her beauty and peerless talent. Unfortunately, amongst this bunch of b.u.mpkins, Yi Yun, who did not share the same thoughts as her, had appeared. His control of energy had defeated Luo Huo'er, something completely unacceptable for her. It resulted in her flaring up. Yi Yun could not help but recall how Luo Huo'er had tried to entrap him after she had lost to him in energy control. Just thinking of how she ended up falling for her own trap could not stop the corner of Yi Yun's lips from curling up. He reflected on how time had truly flown. Who knew that more than ten years later, they would both appear in the Ten Thousand Fey Empyrean Heaven? "Brother Yi, since your body isn't well yet, drink some medicinal porridge. It's made from spirit grain that I grow myself." Tao'er took out a pot of porridge from her room and said with pride. In Mt. Fengling, she had a lot of miscellaneous ch.o.r.es to do, so there was no time for her to cultivate. One of her ch.o.r.es included preparing spirit food for Luo Fengling, who was very particular about her daily three meals. Most of the dishes were cooked by Tao'er, so despite having a low cultivation level, she was quite good when it came to cooking. Tao'er scooped a bowl of medicinal porridge for Yi Yun. Just the fragrance alone was enough to make one drool. Not only did this bowl of porridge use spirit rice, but it also used a lot of herbs. It was very beneficial to the body when consumed. After thanking her, Yi Yun drank a mouthful of the porridge. Indeed, it tasted excellent, and the moment the medicinal porridge entered his stomach, it transformed into a warm energy that made Yi Yun feel extremely comfortable. However, Tao'er did not join him in eating the porridge. She faced her small cauldron and began working on her Desolate Heaven technique. The originally red hot cauldron had cooled down by now, returning to its original black color. It did not look like a particularly good relic cauldron and it was probably very cheap. As for the materials, she tried to ration whatever she had. Nurturing a high level Desolate Heaven Master required large amounts of valuable materials for practice. It was a huge expense. Hence, if one didn't come from a famous inst.i.tute of learning, it was very difficult to succeed as a Desolate Heaven Master. Tao'er came from a poor background and not only her, even Luo Fengling was not considered to have come from a good background in the Luo clan before she showed her talent. She had relied on her hard work to come so far. An example of Luo Fengling’s diligence was how eager she was to enter reclusive training the moment she returned. Tao'er understood her own situation very well. She knew that it was impossible for her to be a top Desolate Heaven Master, nor did she have such ambitions. She only wanted to keep up with her Missus. She wanted to be able to help whenever her Missus was refining relics. She would be satisfied if she did not cause trouble for her. As Yi Yun watched Tao'er refine the relic, he noticed that there were a collection of books nearby. A few books were even flipped open. Taking a look at them, they recorded Desolate Heaven technique hand seals in them. It was Desolate Heaven technique heritage from the Ten Thousand Fey Empyrean Heaven. Of course, the Desolate Heaven technique heritage that Tao'er got to come into contact with were the most basic of techniques, so there was no need to keep them confidential. Hence, the books were just casually placed there, allowing Yi Yun to take a cursory look. Yi Yun could not help but pick up a book and began flipping through it. His body had yet to recover, so it was impossible to cultivate. Since he had the free time, he felt that taking a look at the Ten Thousand Fey Empyrean Heaven's Desolate Heaven technique was quite a good choice. Since the Luo clan's attainment in the Desolate Heaven technique was impressive, then in the Luo clan's royal capital, there would definitely be top Desolate Heaven technique heritage. If he had the chance to learn them, with the Purple Crystal's help, Yi Yun would easily be an excellent Desolate Heaven Master. As Yi Yun continued to read, he opened up his energy vision on a whim. 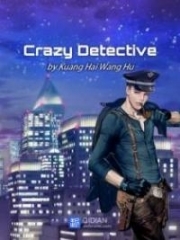 As he read the book, he would match the information in it to Tao'er's Desolate Heaven technique. 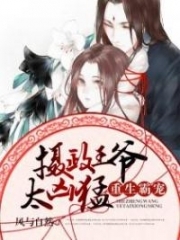 You're Read True Martial World Chapter 780 - Luo Clan Desolate Heaven Technique online at NovelOnlineFull.com. You can use the follow function to bookmark your favorite novel ( Only for registered users ). If you find any errors ( can't read,broken links, can't load photos, etc.. ), Please let us know so we can fix it as soon as possible. And when you start a conversation or debate about a certain topic with other people, please do not offend them just because you don't like their opinions. You're reading True Martial World. This manga has been translated by Updating. Author(s): Cocooned Cow,蚕茧里的牛. Already has 7108 views. Current Time is 21-Apr-2019 02:53:45 AM.